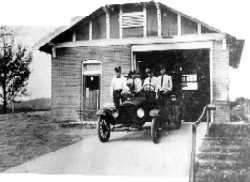 unanimously approved the purchase of this "Fire Machine" as the NLR Times called it in November, 1932.
on February 20, 1933. The chasis number of the apparatus was CBQ1004. The arrival of this new 750 GPM Triple Combination Pumper "identical to Little Rock's latest machine"
for $11.300.00, which was a great sum of money in 1932. 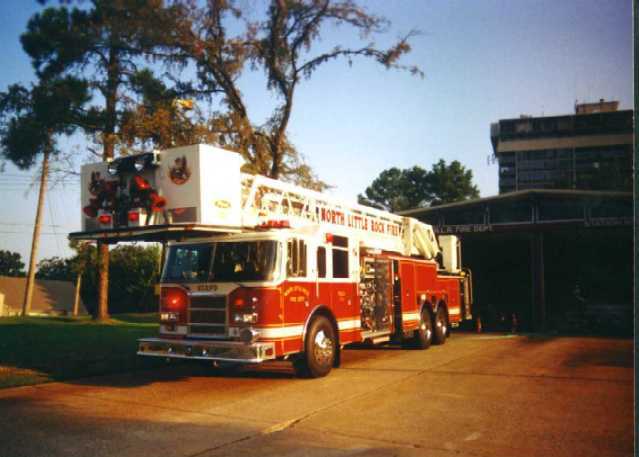 The 1933 Mack replaced the 1917 American LaFrance. gone from Station 2 to Station 4 in Rose City.) Thus, in 1951, this pumper was no longer in front line service.